Trinity Falls is a beautiful neighborhood and is served by the highly-ranked McKinney ISD. The homes are currently zoned for Press Elementary, Scott Morgan Johnson Middle School and McKinney North High School. 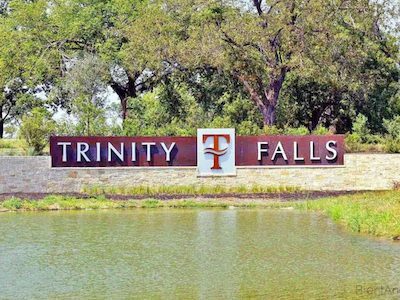 If you are considering buying a home in Trinity Falls, you always need to examine the local real estate market. 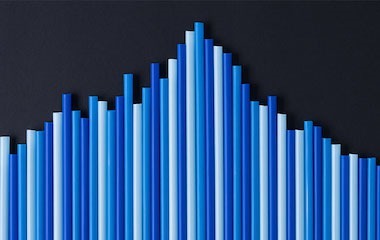 The McKinney real estate market is currently an extreme sellers market. This means sellers and builders are not negotiating very strongly. They know the next person behind you will buy their home. Luckily we have great relationships with the builders in Trinity Falls and get terrific deals. Be sure to read our page on Trinity Falls Home Values. Trinity Falls residents enjoy meeting friends for a wide variety of community events at The Club at Trinity Falls Amenity Center. Take a swim, catch a dive-in movie while floating in the pool, join a community club or enjoy a parents' night out. • Residents only Clubhouse • Open air pavilion with oversized fireplace • Club room opening to sunset terrace and event lawn • Beach entry pool • Kids splash area • Neighborhood parks, playscapes and trail systems • Tricycle race track • Council Ring • Future McKinney ISD elementary school site with adjoining park • Over 450 acres of open space • 20 Miles of Hike and bike trails • Amphitheater overlooking a lake • Play fields • Canoe and kayak launch • Fishing piers • Disc Golf course • Onsite McKinney Fire and EMS facility • Up to three additional McKinney ISD elementary school sites each with adjoining 8-acre parks 300-ACRE TRINITY FALLS BB OWEN PARK The centerpiece of the community, Trinity Falls B.B. Owen Park is a 330-acre natural park along the East Fork of the Trinity River with over two miles of winding, wooded river frontage. This expansive riverside green space will include lakes, an amphitheater overlooking the Trinity River, play fields, a canoe and kayak launch, fishing piers, nature trails and overlooks and a disk golf course. You will find listed below the companies that you can currently use to help build your new home in Trinity Falls. Each company offers a certain style of home along with unique floor-plans and pricing. We invite you to visit their website, dream about the perfect floor-plan and then give us a call before you go visit the model homes at Windsong Ranch. You need to be aware of the correct way to visit a model home. You can lose the right to use a REALTOR of your choice if you don't know what you are doing. Thinking About Selling Your Trinity Falls Home? We are experts at selling homes in Trinity Falls Texas. Our home selling system is second to none. Our results at selling McKinney homes will help us soon become the best McKinney agents in town. At TheLivingWellTeam.com, we blog about many of the trends and topics that impact our local market. My blog includes topics such as: buyer articles, seller articles, new listing updates, top local events, reviews of the latest real estate technology and more. You’ll even find videos on new construction neighborhoods, model homes, buying, investing and selling homes. I’ve also tried to provide outside links to many of the valuable resources I come across while doing my research; all in hopes of helping anyone looking to buy or sell a home in McKinney. As the best McKinney agents around, we have model home videos, driving tours and all the newest homes available for sale in the community. If you need more information or want to talk about pre-sale home purchases we can get that done as well.